William Shakespeare was the first great "writer entrepreneur" and his financial success gave him artistic independence, an Oxford University researcher claims. Dr Bart van Es says the turning point for Shakespeare's writing career was when he became a shareholder in a theatre company. It meant that he had much more control over his plays than other writers. "This separated Shakespeare from the world of the jobbing playwright," says Dr van Es. In 1594, Shakespeare bought a share in the Lord Chamberlain's Men theatre company, which Dr van Es describes as a "daring decision". 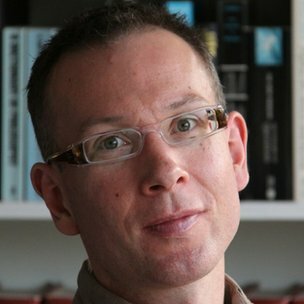 It was an unprecedented step for an Elizabethan author to take a stake in the ownership of of a theatre company and it put Shakespeare in a "unique position", compared with his literary contemporaries, claims Dr van Es, from Oxford's faculty of language and literature. It made Shakespeare much richer, but it also gave him much more freedom over his writing and allowed him to innovate. Until this point, says Dr van Es, Shakespeare had been on the path of a "conventional playwright", supplementing writing with some acting, depending on the patronage of the wealthy and having to accept that his work could be re-written and adapted by other people. Dr van Es says Shakespeare would probably have borrowed the money to buy his eighth share in the theatre company, but his financial timing was as successful as his dramatic timing. 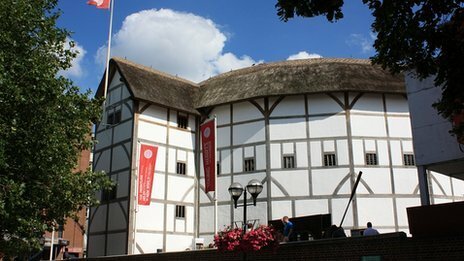 The Elizabethan theatre proved to be extremely lucrative and Shakespeare was able to take a share of the profits. In such a moment "fortunes are made," says Dr van Es, a fellow of St Catherine's College. Instead of acting out a caricature of a starving author, Shakespeare was now able to buy property and lend other people money. This also changed the trajectory of his writing, says Dr van Es, whose research has been published in a book, Shakespeare in Company. He had the financial security to develop his own literary voice and themes and no longer had the "breadline existence" of having to compromise to meet the whims of rich sponsors. This close relationship with one theatre company allowed him to develop characters for particular favourite actors, giving him much more artistic control over how the plays might be performed. "Shakespeare is known as the first playwright with deep, distinctive characterisation and I believe he developed this because of his relationships with the company's principal actors," says Dr van Es. He also says that surviving play manuscripts from the Elizabethan era show how much scripts were likely to be changed. He likens it to the way a Hollywood film might be very different from the original script - and that Shakespeare was unusual in getting control of the production process. His financial stake in the theatre also meant that as well as impressing a fashionable aristocratic audience he also had to make sure that the plays had a popular appeal to keep the crowds coming back. "He was writing for a mass audience, but also for the court," says Dr van Es. The outcome he says is the "high-low hybrid" that characterises his plays. This new way of looking at the playwright's career - from treading the boards to the board room - also shows how different Shakespeare was from his contemporaries, says Dr van Es. "There is no one else like Shakespeare in his income and control," he says.